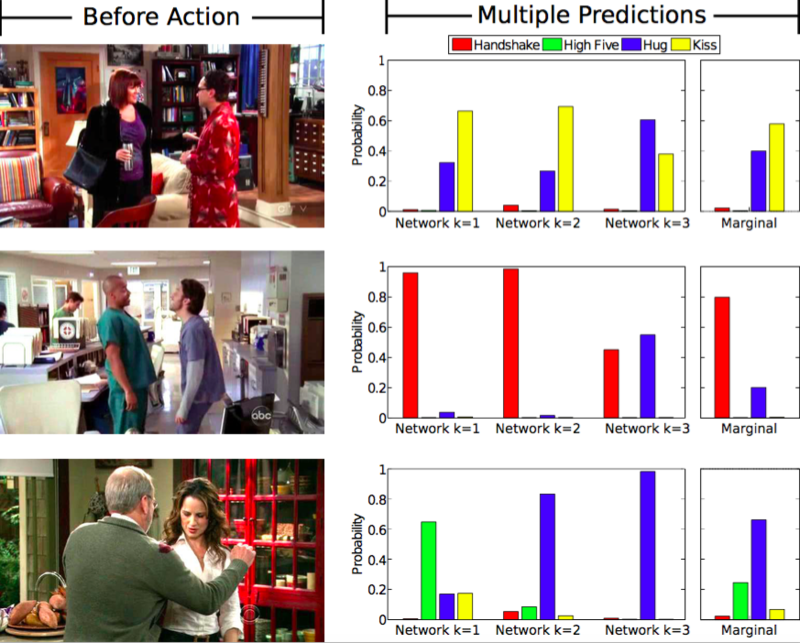 Trained on YouTube videos and TV shows like “The Office” and “Desperate Housewives,” the system can predict whether two individuals will hug, kiss, shake hands or slap five. In a second scenario, it could also anticipate what object is likely to appear in a video five seconds later. 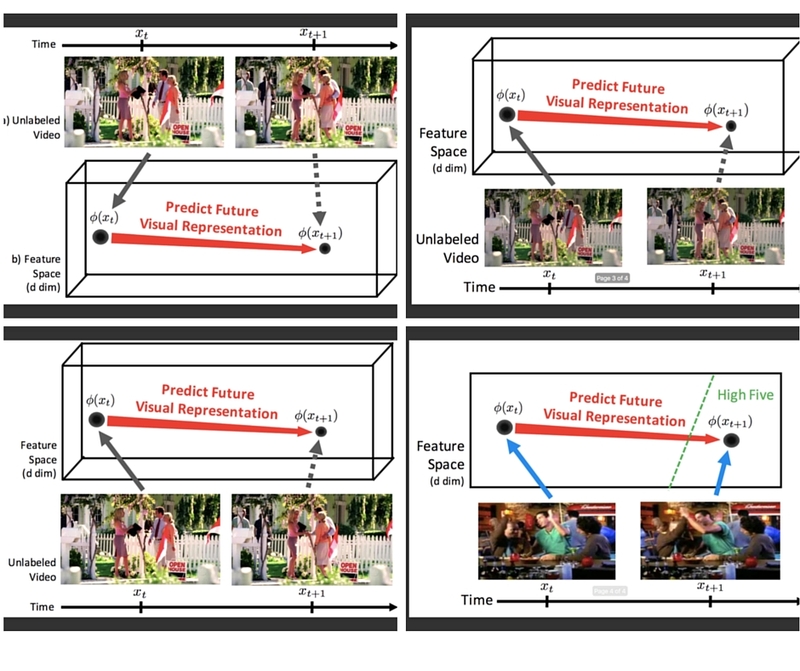 The first method is to look at an image’s individual pixels and use that knowledge to create a photorealistic “future” image, pixel by pixel – a task that Vondrick describes as “difficult for a professional painter, much less an algorithm.” The second is to have humans label the scene for the computer in advance, which is impractical for being able to predict actions on a large scale. Each of the algorithm’s networks predicts a representation is automatically classified as one of the four actions – in this case, a hug, handshake, high-five or kiss. The system then merges those actions into one that it uses as its prediction. 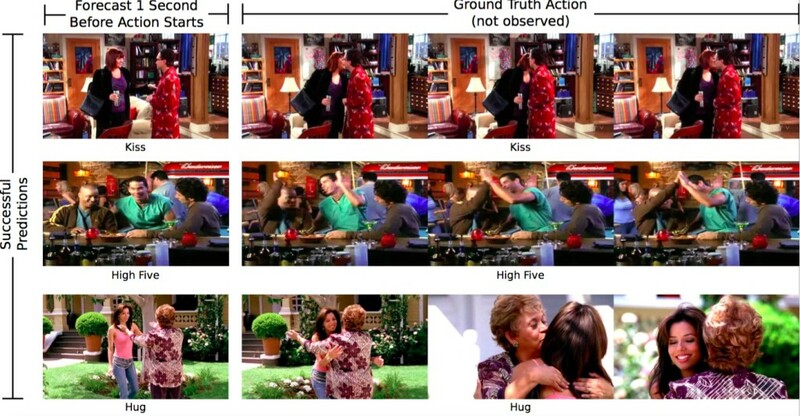 For example, three networks might predict a kiss, while another might use the fact that another person has entered the frame as a rationale for predicting a hug instead.